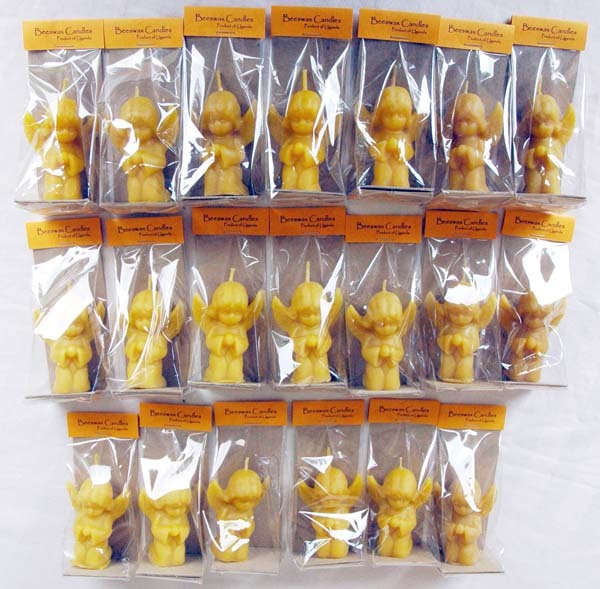 Here are the first batch of angels made out of 100% natural beeswax, getting ready to take their maiden flight to Singapore. Our little angel candles are all natural substance made by bees in contrast to paraffin, a chemical byproduct of the oil industry. The burning characteristics of beeswax candles differ from those of paraffin. 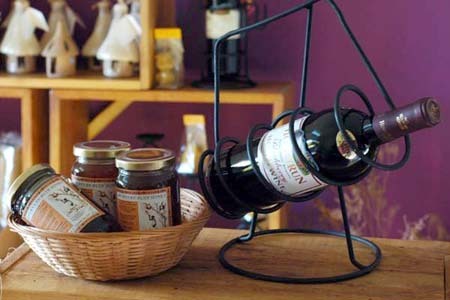 A beeswax candle flame has a “warmer,” more yellowish appearance than that of paraffin, and the color of the flame may vary depending on the season in which the wax was harvested. 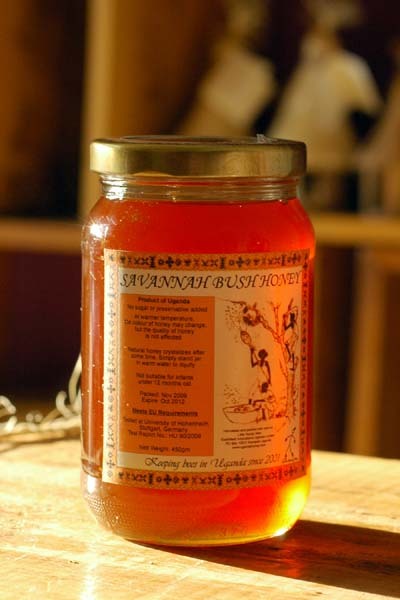 It gets its aroma from the honey and pollen packed into each honeycomb cell. Every individual angel is created from our hand poured mold. 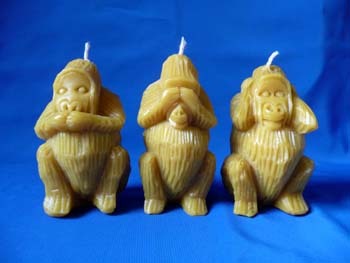 Beeswax candles burn with the spectrum of the sun emitting a brighter, longer burning flame. It is a well established fact that while burning, beeswax candles naturally emit negative ions which clean the air and invigorate the body. Beeswax is produced in the bee hive of honey bees of the genus Apis. Worker bees (the females) have eight wax-producing mirror glands on the inner sides of the sternites (the ventral shield or plate of each segment of the body) on abdominal segments 4 to 7. The size of these wax glands depends on the age of the worker and after daily flights begin these glands gradually atrophy. The new wax scales are initially glass-clear and colorless, becoming opaque after mastication by the worker bee. The wax of honeycomb is nearly white, but becomes progressively more yellow or brown by incorporation of pollen oils and propolis. The wax scales are about 3 millimetres (0.12 in) across and 0.1 millimetres (0.0039 in) thick, and about 1100 are required to make a gram of wax. 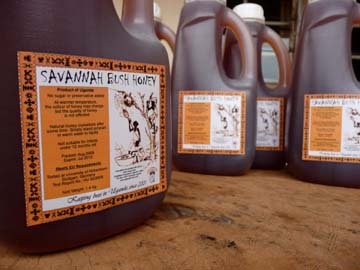 Typically, for a honey bee keeper, 10 pounds of honey yields 1 pound of wax. Western honey bees use beeswax to build honeycomb cells in which their young are raised and honey and pollen are stored. For the wax-making bees to secrete wax, the ambient temperature in the hive has to be 33 to 36 °C (91 to 97 °F). To produce their wax, bees must consume about eight times as much honey by mass. It is estimated that bees fly 150,000 miles, roughly six times around the earth, to yield one pound of beeswax (530,000 km/kg). When beekeepers extract the honey, they cut off the wax caps from each honeycomb cell with an uncapping knife or machine. Its color varies from nearly white to brownish, but most often a shade of yellow, depending on purity and the type of flowers gathered by the bees. Wax from the brood comb of the honey bee hive tends to be darker than wax from the honeycomb. Impurities accumulate more quickly in the brood comb. Due to the impurities, the wax has to be rendered before further use. The leftovers are called slumgum. 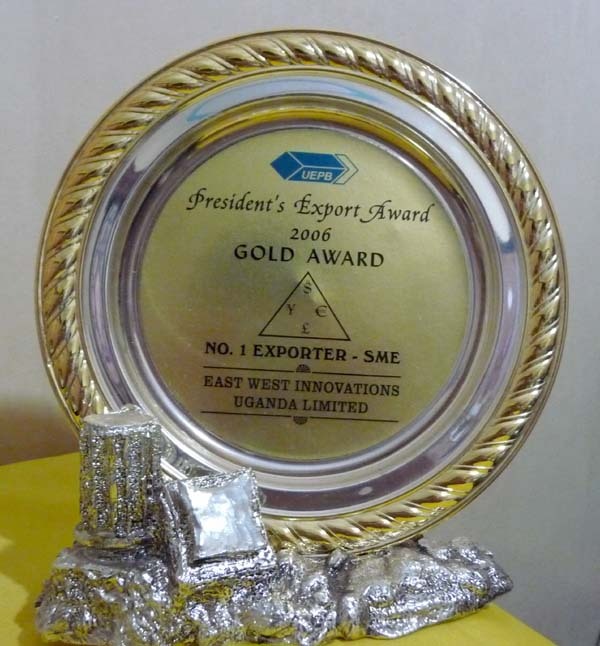 Beeswax is also used commercially to make cosmetics and pharmaceuticals including bone wax (cosmetics and pharmaceuticals account for 60% of total consumption), in polishing materials (particularly shoe polish and furniture polish) and as a component of modelling waxes. It is commonly used during the assembly of pool tables to fill the screw holes and the seams between the slates. Squeezebox makers use beeswax as an adhesive, when blended with pine rosin, to attach reed plates to the structure inside an squeezebox. Beeswax candles are preferred in most Eastern Orthodox churches because they burn cleanly, with little or no wax dripping down the sides and little visible smoke. 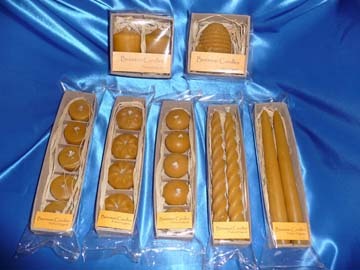 Beeswax is also prescribed as the material (or at least a significant part of the material) for the Paschal candle (“Easter Candle”) and is recommended for other candles used in the liturgy of the Roman Catholic Church. Beeswax has been used since ancient times; traces of it were found in the paintings in the Lascaux cave and in Egyptian mummies. Egyptians used it in shipbuilding as well. In the Roman period, beeswax was used as waterproofing agent for painted walls and as a medium for the Fayum mummy portraits. Nations subjugated by Rome sometimes paid tribute or taxes in beeswax. In the Middle Ages beeswax was considered valuable enough to become a form of currency.